THIS indepth article by RICK ROZOFF of STOP NATO elaborates the most important features of the imperial agenda of the Obama Administration, particularly its so-called new security doctrine, to be adopted at the upcoming NATO Summit in Lisbon, Portugal, November 17-19. Along with profiling the imperialist cadre behind NATO in the USA and their links, it also deals with the retasking of the NATO bloc on a global basis, in which the Harper government is embroiling the Canadian people. It is published as background information on the Halifax International Security Forum, organized by the German Marshall Fund of Washington, which is interlinked with the Atlantic Council of NATO, and wholly funded by the Canadian Department of National Defence and the Atlantic Canada Opportunities Agency. 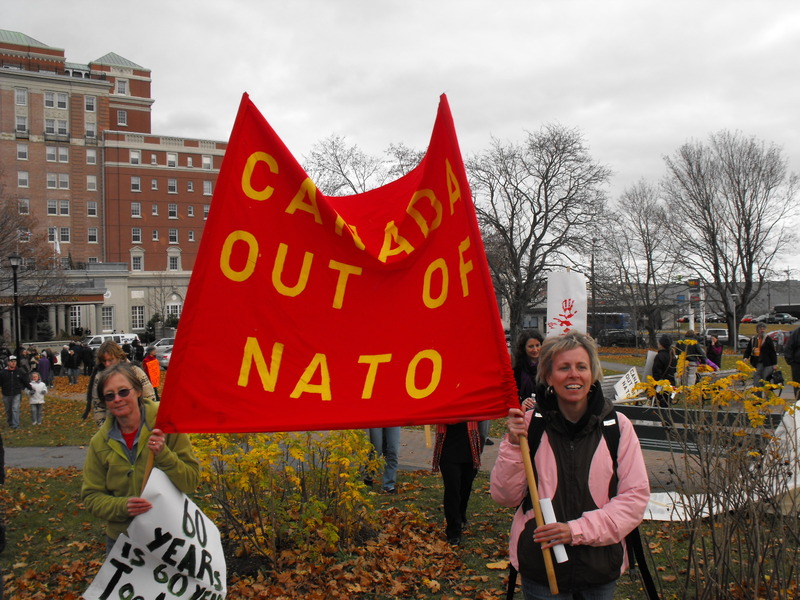 Second Halifax War Conference: Get Canada Out of NATO! Dismantle NATO! November 21, 2009: Haligonians mount a vigorous protest against the First Halifax International Security Forum. Windsorites speak with one voice – Harper, you are not welcome here!